WASHINGTON (AP) - Political upheaval in Egypt complicates already gloomy prospects for new Arab-Israeli peace talks, longtime Mideast dealmaker Zbigniew Brzezinski said Wednesday. He urged President Barack Obama to rescue the dormant talks with direct involvement. Without the president, the stalled-out Israeli-Palestinian talks will "slip and slide into a worsening confrontation," Brzezinski said. 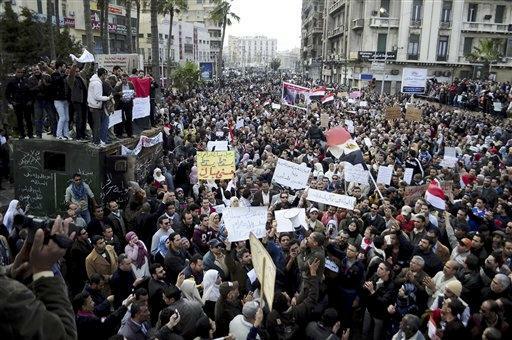 Meanwhile, a preoccupied Egypt could become more "alienated" from efforts to keep the talks alive, he said. "That would be especially the case if the United States remains essentially dormant," he said. There was no immediate administration reaction to the former national security adviser's remarks. Brzezinski, an important aide to former President Jimmy Carter in negotiations that led to a peace treaty between Israel and Egypt in 1979, rejected Obama's Mideast peace efforts to date as "having no credibility yet." The former U.S. national security adviser spoke in an interview as the United States, Russia, the European Union and the United Nations prepare for a meeting Saturday in Munich, Germany, on possible new initiatives to spur an accord between Israel and the Palestinians. That meeting of the peacemaker group known as the Quartet was planned before Egypt erupted into unprecedented demonstrations that forced President Hosni Mubarak to promise not to run for re-election in September. The administration's top Mideast negotiator, George Mitchell, will attend the Quartet meeting to help assess whether he should return to the region and try to bring Israel and the Palestinians to the table. Aaron David Miller, longtime analyst and Mideast adviser to six different U.S. secretaries of state said "the chances are very unlikely" an agreement on Jerusalem's future can be negotiated amid the turmoil in Egypt and tensions in Jordan and other Arab countries. "Resurrecting the process will be extremely difficult," he said. "There is not going to be much movement there." Talks broke down last year and efforts to revive them have not succeeded. Former British Prime Minister Tony Blair, the Quartet's special representative, has acknowledged that the prospect for getting Israeli and Palestinian negotiators together and talking again has been hurt by the situation in Egypt.